The first time I went to view the Three Sisters, it was so foggy there was nothing to see. The second time around, 2 of the 3 sisters showed up. The third hid behind the fog. Epic fail. I comforted myself with photos and paintings of the breathtaking view the fogs on those 2 occasions conspired to deprive us. 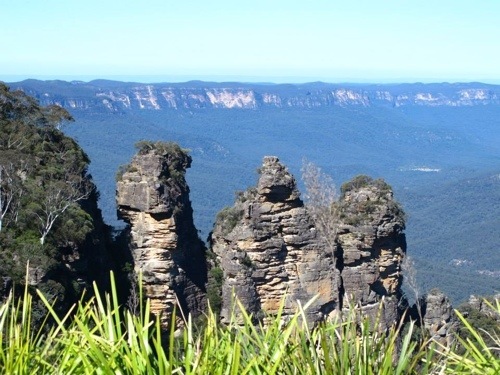 The rocky pinnacles of the Three Sisters. But nothing beats actually seeing this most majestic view of the mountains and the gorge. How Mother Nature carved out this landscape and came up with this creation credited to the winds and waters that touched the land — this scene beats any painting or postcard. 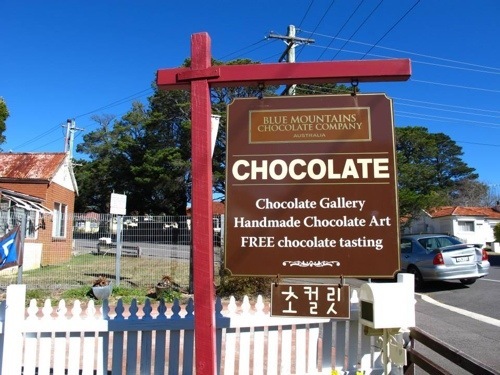 A popular attraction and favorite day trip out of Sydney, we headed early to beat the “tourist bus crowd”. 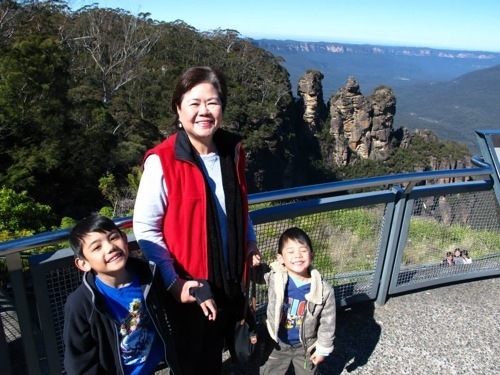 Parked the car near Echo Point and walked towards the cliff barred by fences that failed to make our 2 little boys cautious and wary of the chasm just inches away. 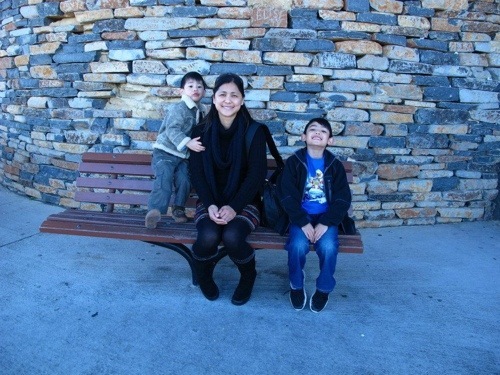 Mommy Reia and her boys. Mercifully, the adrenaline wore off. The interest over the cliffside views, the gorge, the canyons faded and it was time to go. At some point I wondered if these boys would have enjoyed more if we went bushwalking. On second thought, the walk would have tired them out and stressed me and their mom to the max. 🙂 Then hunger pangs set in. 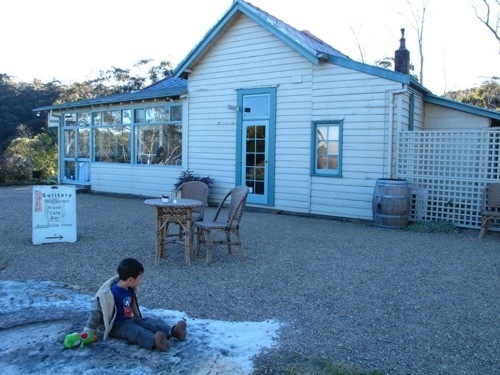 First to a Chocolate House, then off to Katoomba’s quaint little town. Still no chain restos like McDonald’s or Hungry Jack here, thank God. Just like how I remembered it. We went for a proper lunch in this new Korean restaurant where one of the boys practiced his skills with the chopsticks. Found some interesting shops too before we decided to drive around the town just to check out the once familiar corners. From here, we drove through lovely Leura and dropped in at Solitary Cafe. 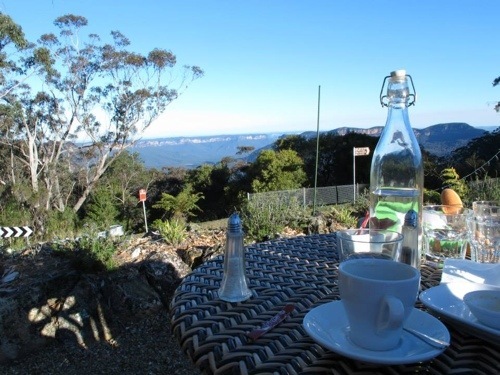 This was where we had our last glimpse of the rocky pinnacles of the Blue Mountains while sipping our black liquids and nibbling on some sweets. The only problem eating outdoors here is that your coffee soon turns cold. 😦 They should consider serving it in a thermo flask. Seriously. 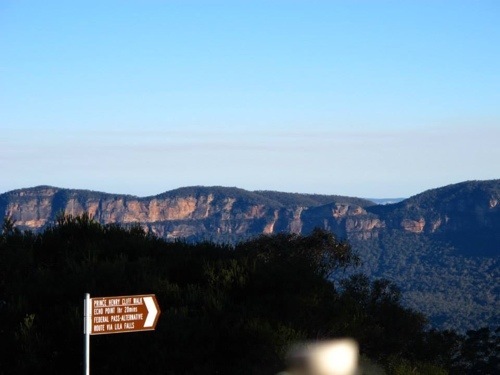 Last glimpse of the Blue Mountains.